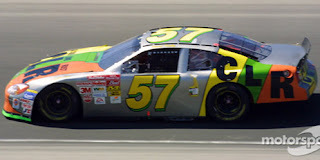 On July 14, 2002, Stuart Kirby picked up the 1st last-place finish of his NASCAR Winston Cup career in the Tropicana 400 at the Chicagoland Speedway when his #57 CLR Ford broke the rear end after 124 of 267 laps. The finish came in Kirby’s 2nd series start. In 1981, Kirby was born in Bowling Green, Kentucky, 90 miles south-east of Michael Waltrip and Jeff Green’s hometown of Owensboro. Like Eddie Bierschwale, featured earlier this year, Kirby grew up working for his family’s funeral home before making his way into racing. At age 20, he made his ARCA debut during SpeedWeeks 2001, finishing 5th for car owner and series veteran Bob Schacht in the ARCA 200 at Daytona. In just eight starts that season, Kirby would earn four more top-five finishes, including a runner-up to Frank Kimmel during May’s 100-miler at Charlotte. During the summer of 2001, Schacht decided to field a Winston Cup car for Kirby when the elite division returned to Charlotte in October. It was a tremendous gamble - not only due to Kirby’s inexperience, but the team’s as well. It would be the first time Bob Schacht fielded a NASCAR entry since September 19, 1993, when Schacht himself came home 36th in a field of 37 at Dover, edged for last by Phil Parsons. Worse, 51 cars made the preliminary entry list for the 43-car field, and even after withdrawals by Rick Mast and Morgan Shepherd, Kirby had to make it in on speed. Surprisingly, Kirby performed once more. The Thursday before the race, he put up the 22nd-fastest time in qualifying to lock himself into his first Cup race in his first-ever attempt. The red-and-black Ford sponsored by Combos would roll off just seven spots behind another driver making his Cup debut that day, Jimmie Johnson. When he was interviewed, Kirby expected to finish inside the Top 25. Things were looking up for driver and team. Then, hours later, came tragedy. 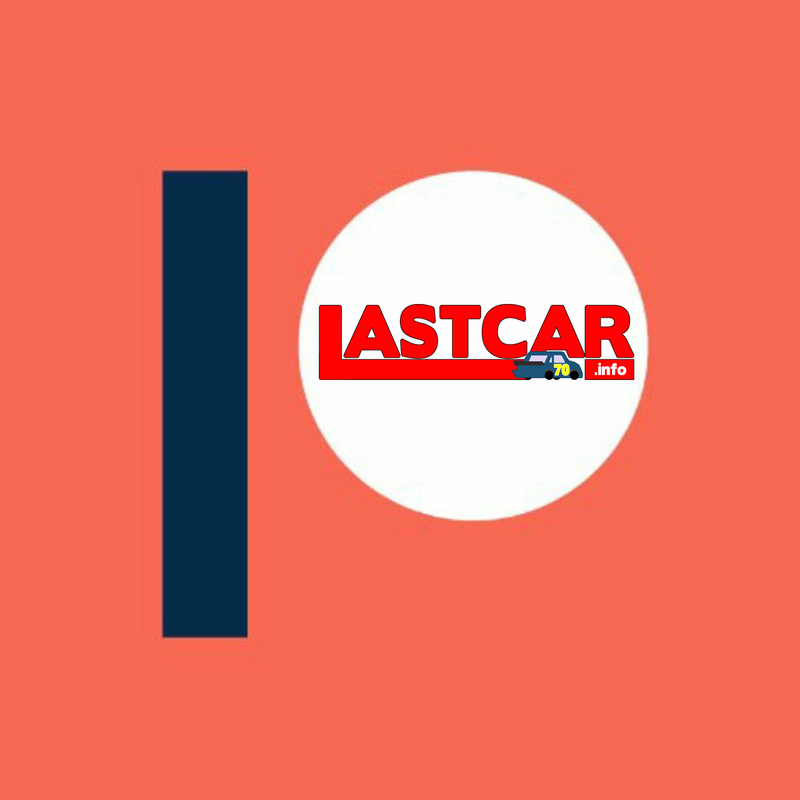 Thursday’s activities at Charlotte wrapped up with an ARCA race, the EasyCare Vehicle Services Contracts 100. With Kirby focusing on his Cup debut, his ride in the #75 Middleswarth Potato Chips Pontiac fell to Blaise Alexander. After struggling as a development driver for SABCO Racing, Alexander returned to ARCA as one of five other drivers who’d also drive for Schacht in 2001. Alexander came to Charlotte as one of the favorites to take the victory, having capped a stretch of five straight top-ten finishes with a win from the pole at Michigan in July. Charlotte, Alexander’s first race since the Michigan event, saw him roll off on the outside of Row 2 alongside Kerry Earnhardt. By Lap 64, Alexander and Earnhardt had combined to lead all but five laps and were still battling for the top spot. Heading through Turns 3 and 4, race leader Earnhardt slid up the track behind the lapped car of Robby Benton. Alexander moved to the inside and began to pull ahead. Entering the dogleg, the #75 had just about cleared Earnhardt’s #2 when the two made contact, steering Alexander head-on into the outside wall. The ferocious impact knocked Alexander’s car back into Earnhardt, sending the #2 sliding several hundred feet on its roof. Earnhardt escaped quickly, but there was no movement from the #75. Alexander, age 25, died of a basal skull fracture. The race was stopped. Earnhardt was given the win. Thursday’s tragedy only added to the emotions of an overwhelming year. 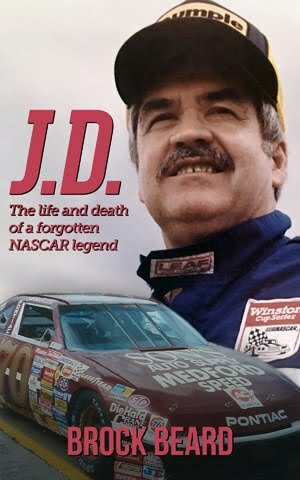 Alexander’s death came less than eight months after Dale Earnhardt lost his life in much the same way on the final lap of the Daytona 500. More significantly, America was still coming to terms of the September 11th attacks just a few weeks before, and by race day, news broke of Operation Enduring Freedom, the United States' invasion of Afghanistan. War pushed the race broadcast off the major networks, and the cable audience would watch Sterling Marlin take the win. Marlin wanted to take a lap carrying the American flag, much like Brad Keselowski does today, but for some reason NASCAR deemed it unsafe. Kirby, meanwhile, was left with a disappointing 42nd-place finish, involved in a multi-car crash on Lap 46. Bob Schacht has not fielded a Cup car since. Jimmie Johnson, who also wrecked, rounded out the Bottom Five in 39th. The July 2002 race at Kansas was Kirby’s first start since the Charlotte debut. He this time drove for car owner Ted Campbell, whose silver #57 CLR Ford was one of the seven cars Kirby sent home that October. Like Kirby, Campbell was active in ARCA and was looking to make the transition into NASCAR. He’d fielded ARCA entries for Mark Claussner and Kirk Shelmerdine in 1999 and 2000, and in the latter season earned a pole and a 3rd-place finish with Shelmerdine at Talladega. Derrike Cope gave Campbell his first Cup start in 2001’s inaugural event at the Kansas Speedway, coming home 24th. Chicago would also be his first start since then. Much like this weekend’s Teenage Mutant Ninja Turtles 400, the 2002 Tropicana 400 also featured several cars with characters on their cars. Back then, the theme The Muppet Show, which included eight drivers: Casey Atwood (with Muppet character Rowlf the Dog), Bill Elliott (Swedish Chef), Bobby Labonte (Pepe the King Prawn), Jeremy Mayfield (Dr. Honeydew and Beaker), Jimmy Spencer (Animal), Ricky Rudd (Gonzo the Great), Dale Jarrett (Kermit the Frog and Miss Piggy), and Mike Wallace (Fozzie Bear). Wallace drove in relief of Johnny Benson, Jr., who for the second time that season was sidelined by injury. 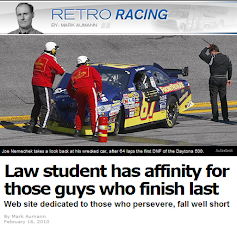 This time, the culprit was an early crash at Daytona eight days earlier that left him last in the Pepsi 400. Again, Kirby hammered out another strong qualifying run, this time earning the 26th spot for Sunday’s 400-miler. Unfortunately, the team had to make an engine change, sending him to the rear with Mike Skinner, Dave Blaney, and Kurt Busch. All of them would join 43rd-place starter Stacy Compton, who was looking to turn around a difficult season in A.J. Foyt’s #14 Conseco Pontiac. When the green flag fell, Kirby fell to the back, trailing the field by a carlength in Turn 1 and by about a half-second in Turns 3 and 4. On Lap 4, Dave Blaney pulled onto pit road, serving a penalty for passing before the green flag. But just as Blaney’s #77 Jasper Engines & Transmissions Ford came in, the caution fell for Ward Burton’s spin on the frontstretch. Blaney managed to stay on the lead lap, but Burton’s #22 Caterpillar Dodge was trapped behind race leader Ryan Newman, one lap down in 43rd. Ward Burton was forced to make extended stops under the yellow, his right-front fender damaged from riding around on four flat tires. The damage proved worse than the Bill Davis Racing team anticipated. On Lap 17, the driveshaft fell out the bottom of the #22, drawing another yellow and sending him behind the wall. Burton managed to return to the track once again, 117 laps down. He limped around the rest of the afternoon, ultimately losing nine more laps before retiring with handling issues. Burton’s return to the track lifted him to 41st and slipped Kirby to 43rd in the final 18 laps. Laps down himself after apparent mechanical issues, Kirby held 42nd from the moment the #22 spun, then fell out in the middle stages. 42nd went to Michael Waltrip, winner at Daytona eight days earlier, whose #15 NAPA Chevrolet blew an engine in Turn 1 and stopped next to the outside wall. 40th and 39th went to a pair of engine failures: the former being Ken Schrader in the #36 M&M’s Pontiac and the latter Jeff Burton in the #99 Citgo / Bassmasters Classic Ford. The race was won by Kevin Harvick, who recovered from a spin through the grass on Lap 197 to best Jeff Gordon by less than a second. Kirby remained an active part-timer in NASCAR and ARCA through 2009. He made nine Busch Series starts, all but one for Frank Cicci in 2002, and came home a career-best 17th that year at Milwaukee. Two Truck Series starts followed in 2003, where he finished 24th at Loudon and a series-best 20th at South Boston. In 2005, he returned to what was now the Nextel Cup Series, making seven starts for car owner Joe Auer in the #51 Marathon Multipower-3 HD Motor Oil Chevrolet. This time, his best finish came at Chicagoland, where he ran 31st. 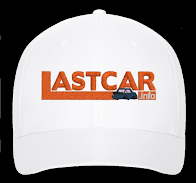 From 2001 through 2009, he made a total of 16 ARCA races, all but one for Bob Schacht, and again found success at Chicagoland, earning a pole position for the ReadyHosting.com 200. Unfortunately, the rear end let go after 1 lap, leaving him 38th. His most recent ARCA race in 2009, once again at Chicagoland, earned him an 11th-place finish. Today, Kirby lives in his hometown, where he operates an ice cream shop. But he still eyes a return to racing, perhaps even more closely as NASCAR returns to Chicago. *This marked the first last-place finish for the #57 in a Cup Series race in more than a decade, dating back to July 17, 1994. That finish also belonged to Kirby’s ARCA team owner Bob Schacht, whose #57 Kenova Golf Construction Ford broke the transmission after 11 laps of the Miller Genuine Draft 500 at Pocono. As of this writing, the number hasn’t trailed a Cup field since Kirby’s run in 2002.